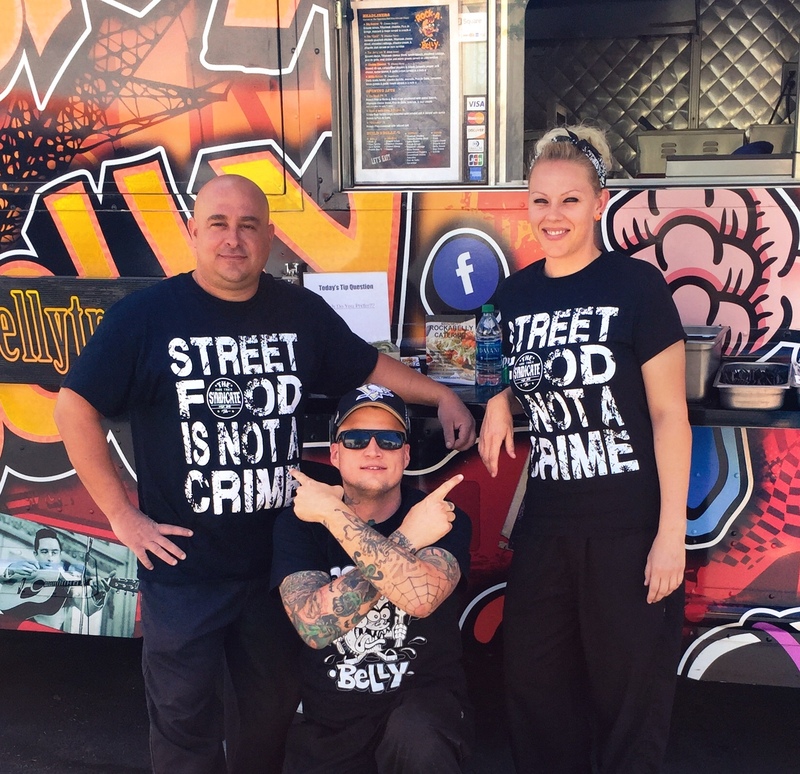 Rock A Belly™ is a premier food truck based out of Phoenix Az. Known for their Award Winning Tacos and Outstanding Catering services. RockaBelly offers a fusion between an East Coast Diner & a West Coast Taco Shop. A Chef owned and operated truck striving to serve only the best in quality & originality, spotlighting local ingredients. With locations all over the Valley be sure to keep an eye out for one of the fastest growing trucks that is among the cream of the crop of the Phoenix Street Food Industry. Stretching the word "Taco" to its absolute limit, rockabelly strives to serve perfection with each item on the menu. Offering a wide range of Local and Global flavors. Everything is scratch made with premium local products & never gmo’s, by products or preservatives, Offering the best in local and seasonal produce, while catering to dietary and vegetarian needs. Rock A Belly™ has also teamed up with Sergio Desoto from DeSoto Consulting and Digi Marc to offer the world’s first “digi marc” wrapped vehicle. Download the Digi Marc app ( iPhone/Android ) and point your phone anywhere at the truck for special offers, weekly contests, quick website access and ability to track the truck! Come see what’s going down on the streets of Phoenix.